Marvin Gay was so fine!! 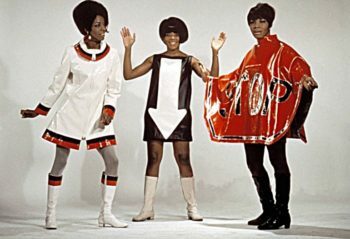 Here is part II of the recent conversation 50BOLD had with Her Majesty Motown’s Queen, Martha Reeves. 50BOLD: When you were on the road can you talk about whether you played to integrated audiences or segregated audiences? Martha: Our audiences have always been integrated. We had one show in Alabama where my hero and mentor Smokey Robinson also appeared. We were on this Motown Revue, and Smokey through divine inspiration stood in front of that audience and said to two white guys to cease and desist! The men had been standing to the right and left of the stage with baseball bats. They had apparently been hitting our fans on the head with the bats. Smokey told them that the music we were performing was good music, and how we were there to have a good time. He again warned the men to move, and to step back! Martha: The segregated audience had a line with some poles separating the Blacks and the whites, right there on the floor in front us. We saw them break those barriers down, get up and start doing Mickey’s Monkey. 50BOLD: Yes, I remember that song! Oh, yes Mickey’s Monkey. Yes, indeed! Martha: We were all brought back to the stage after we performed. And during Mickey’s Monkey, we saw people doing the monkey dance. But breaking that barrier down and enjoying each other, giving each other hand smacks, being happy about the fact that we were celebrated was truly a heartwarming experience. 50BOLD: You are always so beautifully styled. Did you have any say so as far as the fashions you wore or how you looked? Martha: When I first joined the group of girls by the name of the Del-Phis, one of their members had to leave with her family and move to another city. So the Del-Phis asked through a friend if I would come and audition. We all sang so well together, it was like magic how our voices blended. We had personality differences, however. And the group had broken up by the time I was discovered as Martha LaVaille. But from the very beginning, it was my idea for us to lay us down on some cloth, sew it up on the side, then take the rest of the material and wrap around our waist, it barely stayed up, but it was our very first costume. I was not only to be the lead singer for all the songs but the leader as far as movements, dancing, and singing. Everything. It was fun. 50BOLD: People know your hits like (Love is Like) a Heat Wave, Quick Sand, Jimmy Mack and Dancing in the Street. Out of all of your hits which one is your favorite? Martha: It’s hard for me to pick a favorite recording. With every song, it’s as if you impregnate yourself with it, then wait until it is born. Each song is special. If I had a lot of children, I couldn’t choose a favorite because they’d all be a part of me. Martha: I knew Cuba Gooding very well. I knew him and the entire group. They were fabulous! 50BOLD: Yes, they were a great group. Cuba was a great guy. And he recently passed away a couple of years ago. He was an amazing performer. Now, I can only imagine how people respond to your performances because your songs are just such wonderful classics. Martha: I think of Cuba fondly…. During performances, people will actually sing our songs. We don’t even have to sing the lyrics. We get such a kick out of seeing audiences show us love and completely knowing the lyrics to our songs! 50BOLD: (Laughs) Yes, indeed. Would you mind, if I were to refer to you as a bit of a fashionista? Martha: I don’t mind being called a fashionista because a lot of women tried to dress like us. People still walk up to me today and might show me a wig they’re sporting that I wear, and comment, “I look just like you.” And I respond, “Yes, you do!” I, however, think I look like the majority of Black women. 50BOLD: Well Ms. Reeves, you are beautiful. Ok, so the next question I’m going to ask you is really for our female readers. Were there any crushes going on at Motown? Were there artists interested in other artists? Was there any competition for Marvin Gaye’s or Smokey Robinson’s attention even though he was married? Did any of these kinds of things take place at Motown? Martha: Are you asking if I was a Motown spy? Martha: As far as what went on between the artists, musicians, and producers, I ain’t going to spill that tea! Martha: I can only tell you about myself. 50BOLD: Ok, alright, spill your tea then (laughs)! Martha: When William Stevenson finished writing the first song he had written for Marvin Gaye called, Stubborn Kind of Fellow, he asked me to summon up backup singers for the session. I called some girls that I had sung with previously. I sure remember Marvin Gaye. We sat right behind Marvin Gaye on the Stubborn Kind of Fellow recording session. We could literally touch him. He was so fine!! 50BOLD: (BIG LAUGHS) Did you say, he was so fine?! Martha: The session took place before Marvin married Ana Gordy, Berry Gordy Jr.’s older sister. He was just so, oh… from Washington, DC. He had a sweet way of speaking to you. He always referred to people as baby or sugar because he just couldn’t remember your name. He was just so adorable and so soft-spoken. He didn’t talk much, but oooh when he started singing…. He produced himself you know. Marvin was so talented, he played drums, guitar, piano, and saaang, Oh, he had gospel roots too. And when we looked at him and sang “I tried to put my arms around you” we went crazy. We took him to the R&B place where he wanted to be because his previous recordings had been Sandman. Marvin wanted to be a balladeer but baby, he came out of some soul and rhythm and blues with Hitchhike and Pride and Joy. We produced Marvin’s album. Yeah, I had a crush on him and even followed him around. But that following him around led me to Dancing in the Streets. When Marvin asked me to sing, childhood memories came to mind of times when we danced on our street. 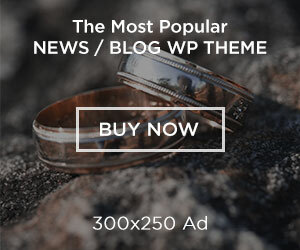 50BOLD: Wow! I am loving this story! Martha: We didn’t have anywhere we could go and dance. We blocked the street off with those yellow horses and yellow tape to keep us from getting hit by cars, buses and trains while we were singing and dancing in the street. So when I sang the song, those childhood memories were running through my mind. I blurted out the song and really, really felt it. I recorded it just one time. And the engineer said, “Hey man, I didn’t turn the machine on.” I was ready to fall on the floor because I thought I had nailed it. I prided myself on being a one or two take artist. Martha: Since I had recorded demo records in the A&R department, I had the knack. When I was told to sing the song again, that’s what you hear on the recording. It sounds like a live performance. The excitement was real. I was blessed with an anthem. I believe Dancing in the Streets is the anthem of Motown records. 50BOLD: I so agree. I grew up on the song and I loved every minute of it. Now, did I read where there was some discussion about calling your group Marvin Gaye and the Vandellas? Is this just a rumor? Martha: The name appeared on a lot of marquees in theaters because we did sing behind Marvin and we were never compensated. We never received the money we earned singing Come and Get These Memories and (Love is Like) a Heat Wave and Jimmy Mack our first three hits. But we sang behind Marvin; sometimes on stage. Most of the time off-stage. 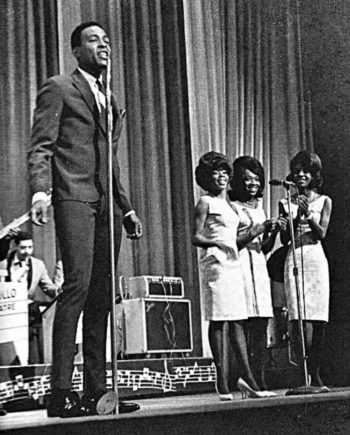 On Stubborn Kind of Fellow and Pride and Joy, million-selling records, we pumped Marvin up as his backup singers and made him come out of his inhibitions. 50BOLD: Now, Ms. Reeves, after you had your first million seller, (Love is Like) a Heat Wave, how did your life change both personally and professionally? What kinds of things then became different in your life? Martha: Well, my habits. I started staying up most nights, writing songs and singing songs and rehearsing. I disciplined myself to sing every morning. I get up every morning to sing praises to the Lord. I’m thankful. I’d go into my scriptures and sing my psalms. I spend most of my time now rejoicing, making music and praising the Lord. My life has changed. And my revelations have been great. I’ve been all over the world. We learned how to be socially accepted and learned how to discipline ourselves and be respected as a Motown artist. We had a pride. We had proper training so that we could exist, create legendary music and be in show business 50, 60 years down the line. I’m about to go into my 77th year of life. My life has been filled with music, performing and entertaining. I feel that my destiny has been one of greatness. I feel special. And I have felt special ever since that day I walked into Hitsville after being told by William Stevenson that I had talent. 50BOLD: You are very gracious and this has been one of my most thrilling interviews. But I’d truly be remiss if we didn’t talk about the fact that you’re still touring now. Tell us a little about that. And are you still touring with your sisters? Martha: My sister Delphine joined me in 1980 and my sister Lois has been my best friend since God gave me a female sibling after having four brothers. I used to beat up the two younger ones under me, and she’d help me fight. Lois has been with me since 1968. She was on stage with me when the riots broke out here in Detroit. We were performing at the Fox Theater, headlining the show. We were singing on stage and I was suddenly asked to inform the audience to walk quietly out of the theater because the riots had broken out. 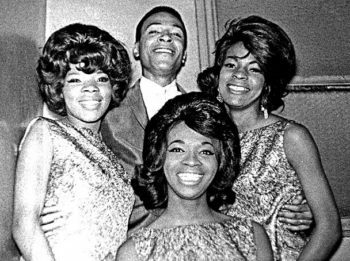 Lois has experienced the Vandellas more than any other people who have considered themselves backup singers for Martha Reeves. 50BOLD: The Rock and Roll Hall of Fame, you’ve been inducted, am I correct? Martha: Yes. I’ve received the Rhythm & Blues Foundation Legendary Award. I also received an award from my church and was inducted into the Rhythm and Blues Hall of Fame. People still recognize the Motown sound, the music we gifted to this world and how great it still is. We lived it and loved it. And I’m glad to be one of the legendary artists who are still alive and able to tell the story. The Motown sound is a wonderful story, magic was made in a man’s house. And Berry Gordy Jr., well, he was mostly like Jesus to me but I don’t want to say this because I don’t think he would like being referred to as Jesus. He opened this house up when many of us had no money and showed us how to make some. Gordy showed us, artists, how to live, how to walk, and gave us training so that we would be able to continue even after the label stopped managing us. 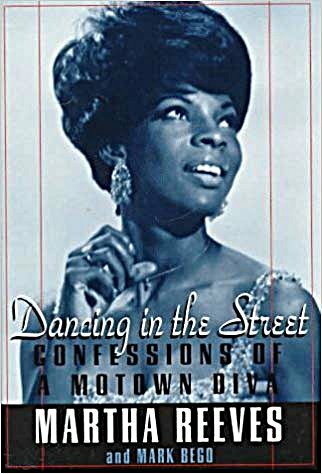 I also want to mention that I wrote a book, Dancing in the Streets: Confessions of a Motown Diva. Mark Bego co-authored it. I’m still getting citations and accolades and keys to the city, and proclamations and it’s just all been such an incredible journey. 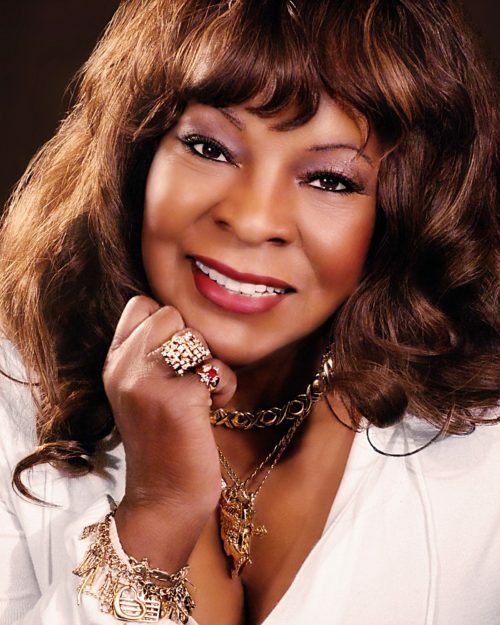 50BOLD: Well Ms. Martha Reeves, entertainer, politician, humanitarian, lovely all-around person, on behalf of 50BOLD.com we thank you so very much for the gems you given us. Martha: Thank you. Thank you for the privilege. Author Leon Goodman hosted the Lou Rawls Parade of Stars for several years. A retired executive he is currently an actor who has appeared on such TV shows as Blacklist and Bull. Leon can be seen in the upcoming feature film, John Wick 3: Parabellum starring Keanu Reeves and Halle Berry. Next articleIt’s summer steak grilling season!